Reuters promotes itself as a paragon of accurate and impartial reporting and its stories are read by millions of people who are led to believe they are being provided objective facts. Roosevelt University academic study documents systematic use of propaganda by world's largest news agency. A study published in the November/December issue of the Journal of Applied Business Research finds that Reuters coverage of the Middle East conflict is systematically tainted by propaganda and influences readers to side with the Palestinians and Arab states against the Israelis. 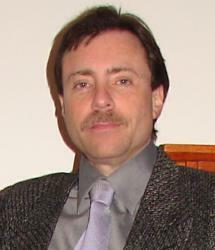 Researcher Henry Silverman of Roosevelt University analyzed a sample of fifty news-oriented articles published on the Reuters.com websites for the use of classic propaganda techniques, logical fallacies and violations of the Reuters Handbook of Journalism, a manual of guiding ethical principles for the company’s journalists. Across the articles, over 1,100 occurrences of propaganda, fallacies and handbook violations in 41 categories were identified and classified. “Governments have long used propaganda to whip up public support during wartime and to demonize enemies”, says Silverman. “Reuters is adopting these same techniques to covertly shape audience perceptions and opinion in violation of its corporate governance charter.” Silverman points out that this is particularly troubling since “the news agency promotes itself as a paragon of accurate and impartial reporting and its stories are read by millions of people who are led to believe they are being provided objective facts”. A product of the merger between Thomson Corporation and Reuters Group PLC in 2008, Thomson Reuters is the largest multimedia news agency in the world; stories prepared by the company’s staff journalists are syndicated to hundreds of news and media outlets globally. Reuters publishes, on the internet, a handbook of standards and values for its journalists and maintains a corporate governance charter called the Trust Principles that commits its employees to “integrity, independence and freedom from bias”.